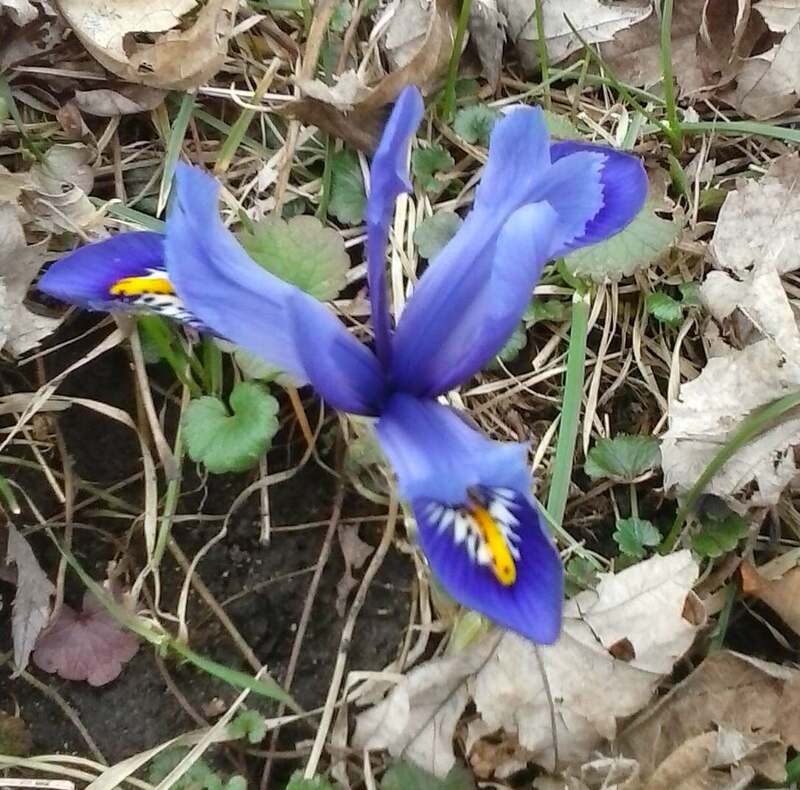 Again this year the first blooms in our central Iowa garden belong to Iris reticulata, a bulbous iris. There were 5 blooms open today (March 27th). In 2016 the first bloom we saw was on March 31st. The last two years we did a series reporting when and where particular irises began blooming because we thought it could be helpful to have information on when irises are blooming in the Region in more or less real time. So that you, your friends and neighbors, and visitors will know when to see the irises. When/where to see the early irises. When is the peak bloom time in your garden this year? When is the best time to see public displays in our Region this year? We would like to continue it this year for the same reasons and to see if having more years of observations helps to better understand when irises will be blooming. Do you have some bloom observations we can add to the list? You can either leave them as a comment or email the webmaster wrmesser@gmail.com to have them added. Thank you. Region 21 will host The American Iris Society National Convention May 22-26, 2017. Convention attendees will tour at least four Des Moines area gardens, including two public gardens. Hybridizers of beardless varieties are invited to send rhizomes of recent introductions and seedlings under consideration for introduction. Please observe the following guidelines when sending guest irises as only officially submitted guest irises will appear in the convention booklet. Up to two rhizomes of each variety will be accepted from August 25 through September 8, 2014. The packing list should include the contributors email address to receive an electronic receipt. Contributors who do not provide an email will receive a confirmation via USPS. Shortly before the convention, contributors will be asked for instructions regarding disposition of the plants. Failure to reply by April 1, 2017 will be interpreted as permission to destroy all seedlings, and distributed named varieties, one to each host garden and the rest as determined by the Convention Committee. No rhizomes will be offered for sale on the internet or other means which compete with sales by the contributors. Guest iris returned will be sent freight paid, except for foreign addresses. The Convention Committee and the owners of the host gardens will strictly adhere to the Code of Ethics as printed in the AIS Convention Handbook. The Convention Committee and host gardens will not be responsible for losses beyond their control. Use this link for a PDF version of this request: 2017 Request For Guest Beardless Iris.